Learning to play blisteringly fast is top of the wish-list of almost every drummer. 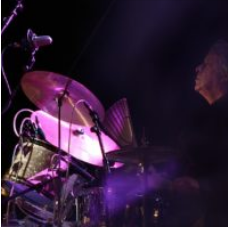 Even some of the most advanced drummers constantly work to increase their speed and control. 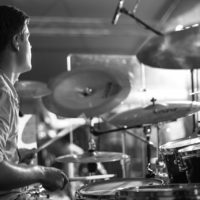 The good news is that some simple exercises and some changes to your technique can really make the difference between a slow and fast drummer. Before we start: have a look at this video below to get some inspiration from some REALLY fast drummers (start watching at 1:24). I know you don’t want to hear this after watching the Buddy Rich and Ed Shaughnessy video above, but it’s actually the most important point! Increasing your speed slowly and sustainably is the fastest route to faster drumming. If you are constantly drumming far beyond your speed then you will struggle to develop the speed and control required. In this case, your fast drumming strokes will always be sloppy. Good technique not only allows for better drumming, but it also helps you to drum in a much more ergonomic way. This keeps you away from nightmarish wrist injuries and tendinitis, which can become chronic and cause problems in years to come. Think about improving your speed as a continuous exercise over the next few months. Track your changes and don’t be disappointed. Consistent practice is the name of the game to improve your muscle memory and endurance. I’ve owned this pad for over a decade. If you don’t have a drum practice pad then you REALLY need to buy one. Every drummer should own one of these. 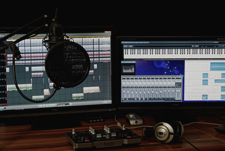 Even if you have a soundproofed room with the best possible drum gear, it’s still useful to get a pad to isolate and quietly hear your drum strokes. I’ve spent countless hours practicing my drum strokes on the same pad. It has withstood over a decade of punishment. That’s a serious return on investment for such a cheap piece of gear. When drumming on a practice pad, it’s also easier to focus on the goal at hand, as it’s just down to you and a small rubber striking surface. You’re much less likely to get lost in a drum solo to an imaginary packed stadium! You should try to get out of the way of your drumsticks as much as possible. A stick will naturally rebound off the surface of the drum after striking it. However, if you’re holding your sticks too tightly or with bad form then you may have to work harder to bring your stick back to starting position. Therefore faster drumming is not just about learning how to use extra force, it’s about improving your technique to become more efficient at working with your sticks. Improving your re-bound can dramatically save the amount of energy required per drum stroke, which opens up the possibility of increasing your speed much more. The rebound of practice pads are generally more than low-tuned drums. However, you will still be able to reap some of the benefits of rebounds on less bouncy surfaces. The next most important piece of kit for a drummer is a metronome. Playing in time is the number one job of a drummer. If you’re not used to playing to a click then you might initially find it annoying. If this is the case, it shows that you need to improve your timing. 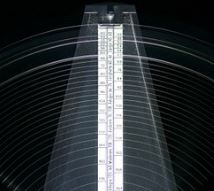 Playing to a metronome for a few weeks can actually make serious improvements to your rhythm. You can either use a metronome app for your phone or purchase a dedicated metronome. Many drummers now use these during live performances as well as recording, therefore it’s a vital skill as a modern drummer. Practice your rudiments at high speeds, as well as painfully slow speeds. It’s easy to play at moderate speeds, but turn the tempo way down and you have way more space in between notes to make mistakes. It’s amazing how much your drumming can improve once you learn how to play slowly! It will improve your control and timing, which will reap the benefits when you increase your speed. Practice your drumming in front of a mirror. 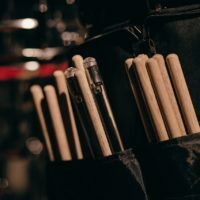 You might quickly notice issues in your drumming technique. Resolving these could improve your speed. If you hold your drumsticks using the matched grip then you should drum in a symmetrical fashion. Discrepancies in your stick movements may mean problems with your technique. I always recommend going to a local drumming expert every so often to access your form and technique. They could notice issues with your technique that you never noticed yourself, which can put you on a fast-track to better and faster drumming. I left my single-stroke rolls underdeveloped for years because I was relatively strong at double-stroke rolls. Although I was getting pretty good rudiments and independence, the speed of my single-stroke rolls was poor. How did I improve this? Mainly by specifically practicing 16th note single stroke rolls to a metronome at varying speeds. Start at a low speed, work on observing the rebound of your strokes. As you drum slowly you may use your arms for each stroke. As you get faster, you move to using smaller muscles to control the movements, such as your wrist and your fingers. Try to find the fastest possible tempo that you can hold for at least 30 seconds while staying in tempo and playing with decent form. Try to keep your sticks as loose as possible because you will tighten up as you reach your maximum speed. The Moeller technique is a fantastic method that uses the rebound of your sticks to generate multiple strokes. You can learn to play blisteringly fast triplets and single stroke rolls using this technique. I’m not a massive fan of this tip. However, many drummers recommend it to develop the muscles in your hands and arms for playing drums. Pillows or heavily cushioned surfaces offer no rebound. Therefore, you’re forced to work harder for each drum stroke. 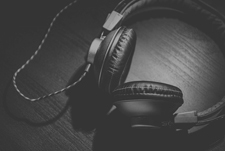 There is one caveat: don’t spend too long on this in any one session. Give your joints and muscles time to recover so that you don’t end up with unfortunate wrist problems later down the road. Kick pedal speed can often be ignored when drummers are focusing on increasing their speed. Practice playing using both ‘heel up’ and ‘heel down’ methods of using your kick pedal. If you have reached a plateau in your kick drumming speed, check out the great heel-toe technique. This is even better if you have a set of double bass drum pedals. The video below is an absolutely fantastic tutorial on how to use the heel-toe technique. It’s one of the best ones I’ve found online. The drum rudiments are a staple of snare drumming for a reason: they massively increase the skill and range of expression of your drumming. Focus on the basics: single-stroke rolls, double-stroke rolls, para-diddles, and flams. After that, start working on the more advanced variations. When doing this, never forget to play to a metronome, observe your drumming form, and slowly stretch your limits. Can’t get enough time on your acoustic kit to practice your drumming speed? 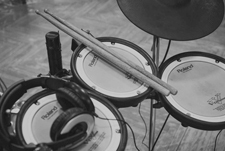 Think about buying an electronic drum set! Slowly pushing your boundaries on all of these will help you naturally improve your speed. With a bit of dedicated practice, you may be surprised at how much your drumming will improve as a result!